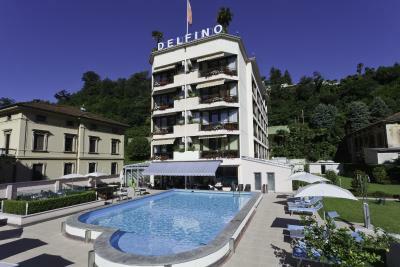 Lock in a great price for Hotel Delfino Lugano – rated 8.1 by recent guests! Awesome hotel located very close to the bus stop - 3 stops away from the train station. Very friendly staff and they try to help you to their best. 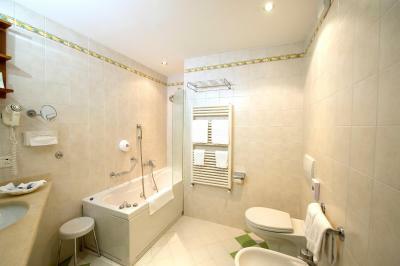 central location, easy to reach city by bus, only few minutes away. 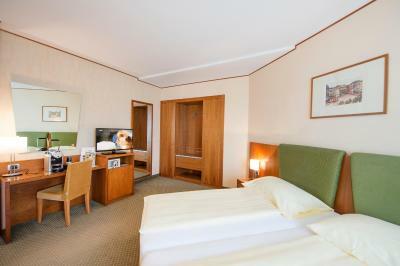 Very centrally located, clean room with a view. Good continental breakfast was served. They tried their best to welcome us. We asked the lake-view room as the extra request before our arrival and they upgraded ours. But I didn't expect that since the period was summer peak! Also, they kept our luggage for a while before check-in and after check-out. Wifi was good. Breakfast was nice as well. 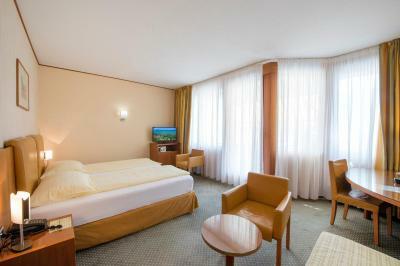 The cleanliness of the room & air conditioning. Small extras not expected e.g. large mirrors, soap, hairdryer, shelving in shower room, shower basket with attached handrail in shower stall (very handy for the older person), hanging rail on balcony, fridge. Breakfast had plenty of variety & was quality. The pool was great to cool down in & to spend a lazy afternoon relaxing. 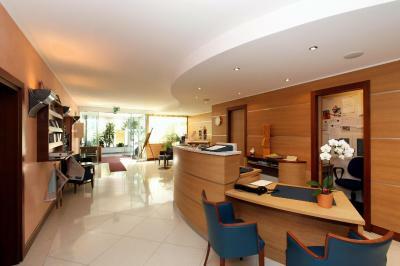 All staff were pleasant, helpful & courteous. 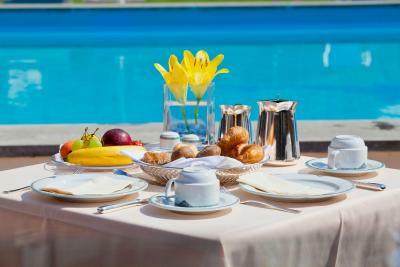 Very clean hotel, excellent position in walking distance from center, nice stuff, very good breakfast. Convenient location. Good breakfast. Just 5 minute walk from Paradiso station. 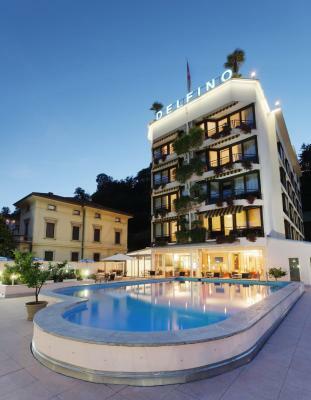 Hotel Delfino Lugano This rating is a reflection of how the property compares to the industry standard when it comes to price, facilities and services available. It's based on a self-evaluation by the property. Use this rating to help choose your stay! 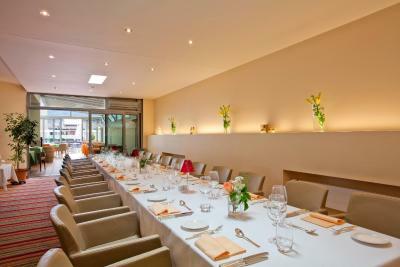 The restaurant Delfino serves seasonal local and international cuisine. 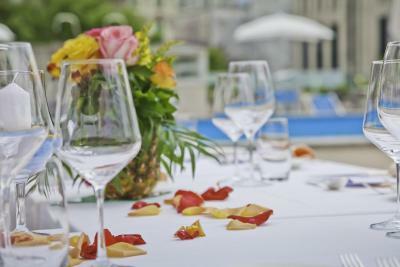 During the day, guests can enjoy small snacks. 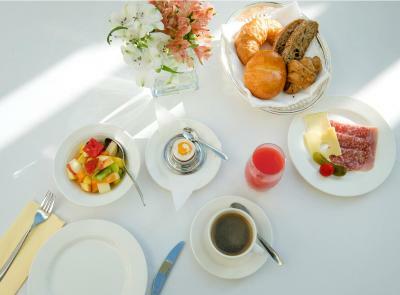 A continental breakfast buffet is available every morning. 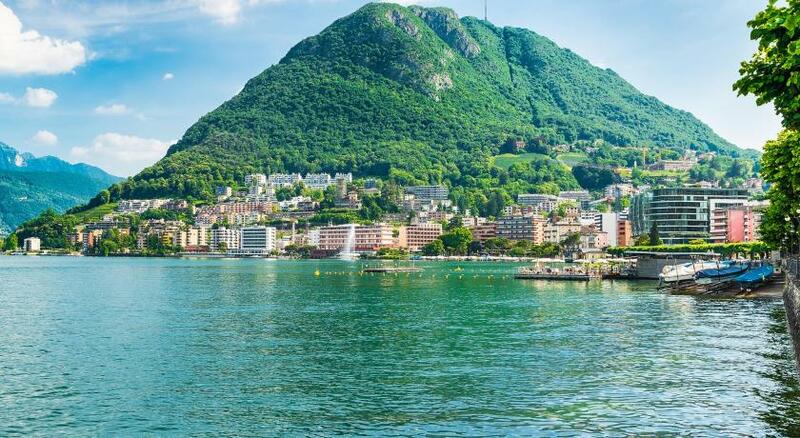 Lugano´s main shopping street can be reached within a 10-minute walk. 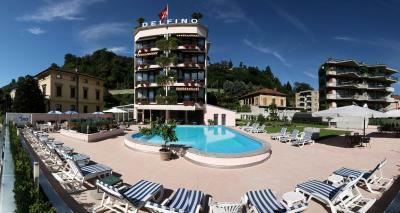 When would you like to stay at Hotel Delfino Lugano? 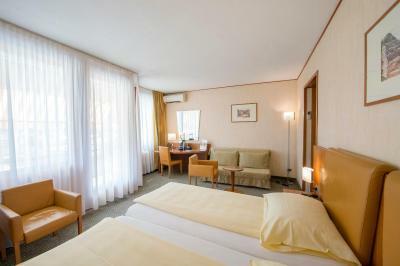 Double room with French bed (Queen Size), with side-view of the lake or of the Mount San Salvatore. 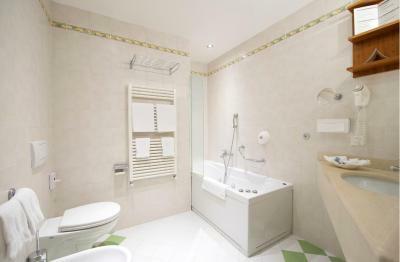 Small room with French bed (Queen Size), and with view to the Mount San Salvatore. Room with balcony and air conditioning. Please note that the bed setup is subject to availability. This room features an extra bed. 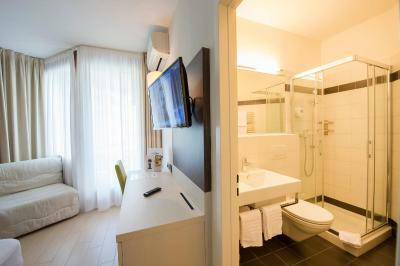 This air-conditioned family suite features 2 bedrooms with 2 double beds, 2 single beds, a sofa bed, a Nespresso coffee machine, 2 bathrooms and a balcony with a lake view. 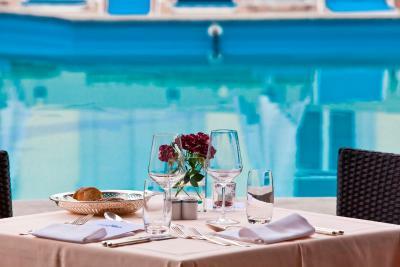 The Hotel Delfino is family owned since more than 40 years and now under management of Federico Haas in third generation. 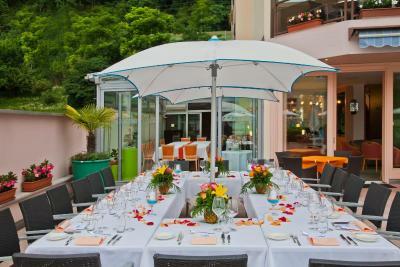 House Rules Hotel Delfino Lugano takes special requests – add in the next step! 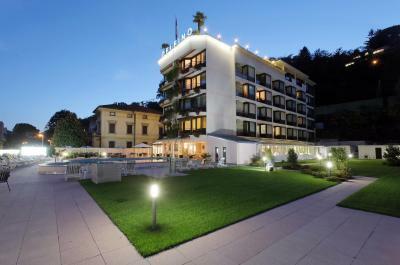 Hotel Delfino Lugano accepts these cards and reserves the right to temporarily hold an amount prior to arrival. I booked 2 rooms connected, when I came to check in they said we don’t have availability for 2 rooms connected it were a problem on the system!!!!! I have kids I cannot leave them in different room by them self!! Room was small and could not use AC as it was not available during the time, but was not a big problem. The location is slightly out of the city center. But it doesn't mean you can't find it. You can take the bus if you don't have a vehicle with you. As we stayed in our room for the evening after dinner, there was only room for one of us to sit out on the balcony. However we did book a small double room so I guess this was to be expected & it certainly did not spoil our holiday. Not enough free time to enjoy it! The hotel was very good the staff very friendly. Good location. Fine view of the lake from our balcony. The Ticino pass was really useful. We arrived by train, so used it all the time.